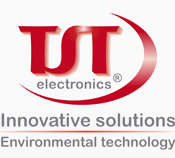 TST electronics GmbH was established in 2002 in Hagen (Germany). Years of experience with industry and gas station electronic, flexible and efficiency work with innovative solutions make TST electronics to the competent partner at your side. Our core competencies are the development of customized solutions in the area of environmental technology at gas stations, as well as the repair of gas station electronics. High qualification of our staff members, special developed service techniques and an agile corporate structure are counted among the essential, insubstantial business. The compliancy of specific requirements and thereby the high customer satisfaction are fundamental building blocks for our corporate success. Reliability, constancy and focusing on the future are important pillars of our corporate philosophy. With trend-setting innovations TST electronics is contributing a good portion to achieve the objectives for a healthy and better environment with less ecological damage, as well as more safety for the employees and customers during fuelling. Not only the environment and human protection are important for us, but we also take care about our customer, for example gas station operator, service companies, contractors and many more, to benefit from a high commercial advantage with application for TST developments. Furthermore, the workout of conceptual solutions belongs to the extensive performance portfolio of TST electronics GmbH. Objective at this is an enhancement of profitable efficiency, the establishment of a competitive advantage and as well to achieve an increase of corporate benefit for the customers. With its flexibility and know-how TST electronics is moreover the perfect partner in the development of specific solutions which have to fultil specific requirements.